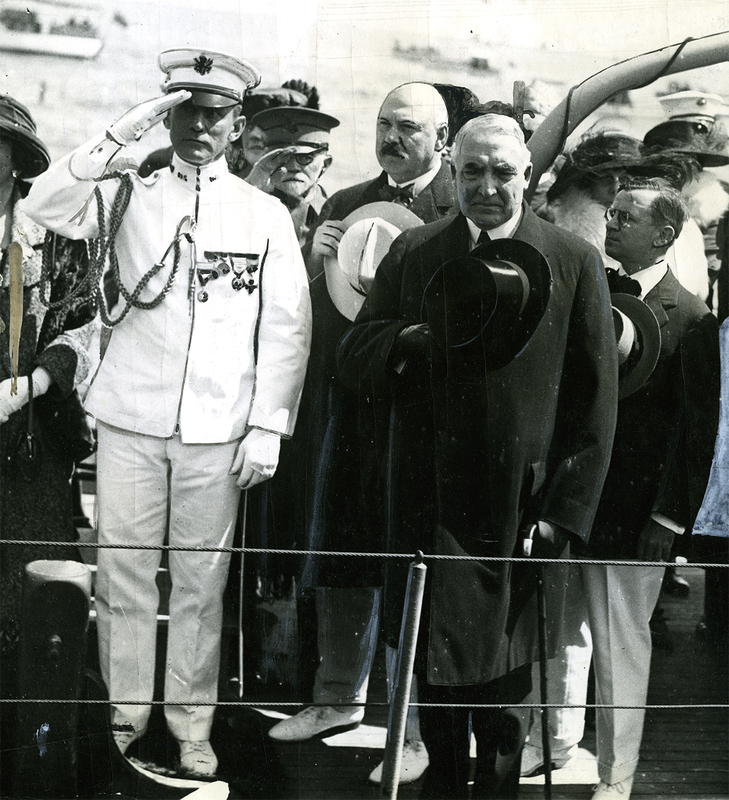 President Harding and members of his party arriving at Plymouth, Mass., and standing at salute as the ban played the Star Spangled Banner. The presidential party was taken ashore fromthe yacht, Mayflower, aboard a submarine chaser. The President is in Plymouth for the Pilgrim Pageant, which is being given in connection with the Pilgrim Tercentennary Celebration. In the photo, left to right, are: Colonel Sawyer, President Harding's physician, Secretary of War Weeks, President Harding, Mrs. Harding, unidentified, George B Christian, Secretary to the President, and Speaker of the House Gillette.